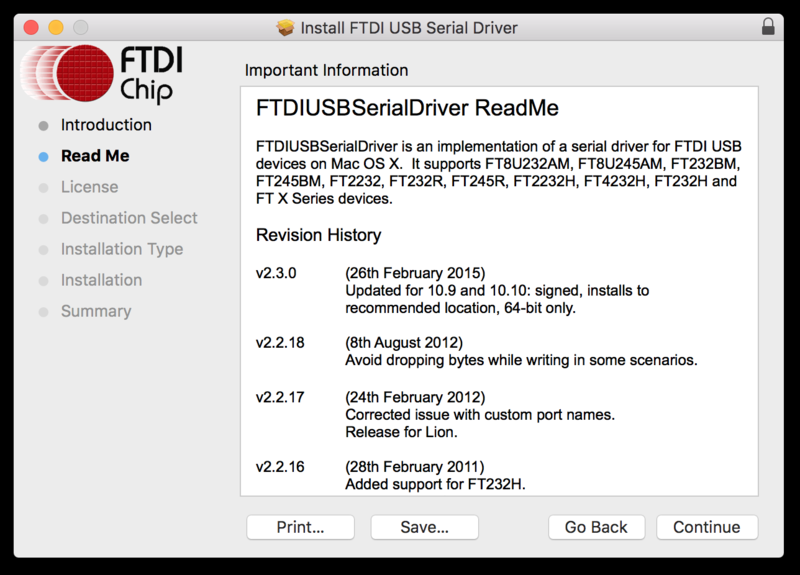 Although this document has been written and tested on a Mac running OSX 10.9, earlier versions of OSX are very similar. In order for this all to work you must follow every step. The vast majority of issues reported are related to not following the instructions, and or missing out steps. 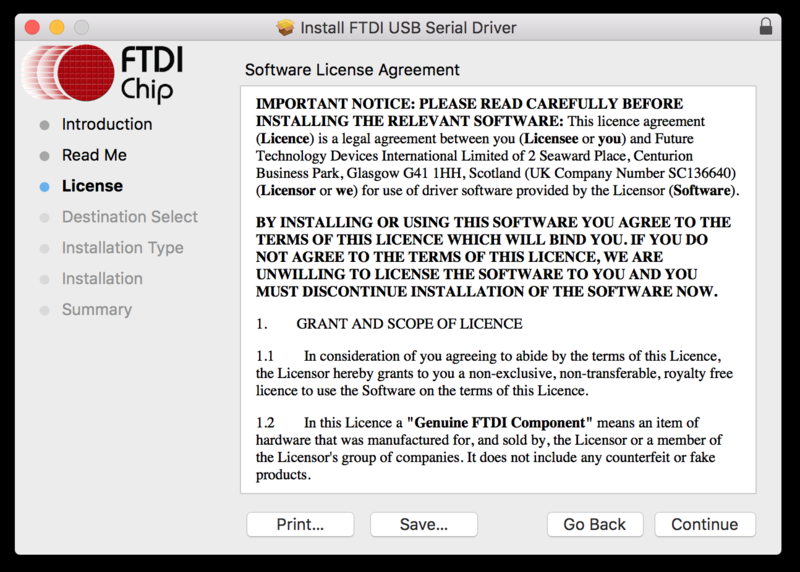 This document also assumes that you have purchased a genuine E-Stim Systems Digital interface Cable. If you have purchased a copy or a cable from a non-approved source, then please understand if we don't offer you any support. How do you know? 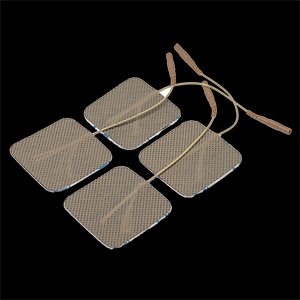 Did you get an E-Stim Systems Branded USB stick or a small E-Stim Systems Branded CD with the software installed on it? Yes? Then it is likely to be genuine. If you didn't then we suggest you speak to your vendor, or us and we confirm if you purchase is genuine. UpLink, the software that allows you to upgrade your 2B using the Digital Link is Only available when purchased as part of the Digital Link interface, or 2B Pro Pack. You will need internet access to download the latest drivers. using a web browser visit http://www.e-stim.co.uk/uplink. If you receiving a warning about this not being the correct site for your region don't worry about it. 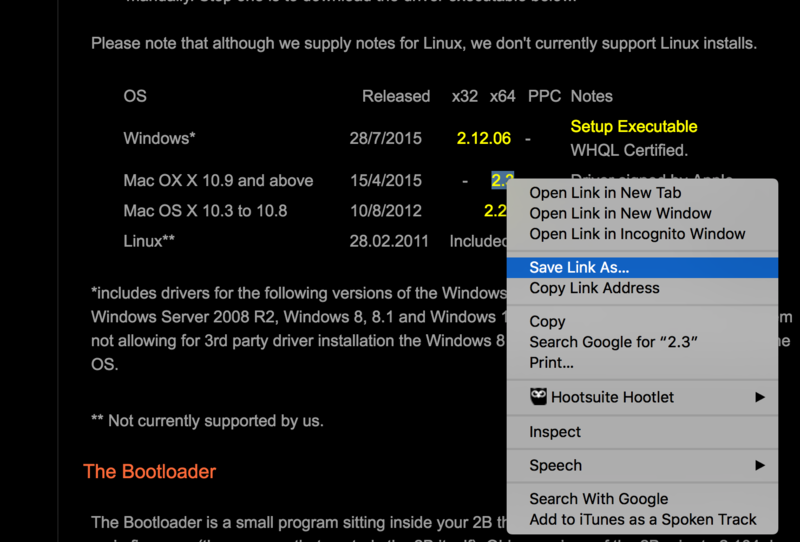 Scroll to the section marked 'How to Install the Digital Link Interface". You should see a table with a number of Operating Systems (OS) listed. 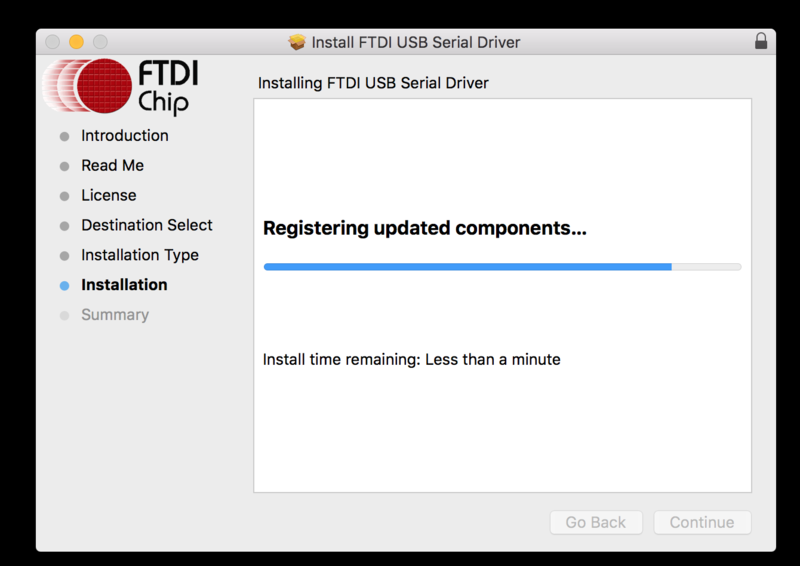 Find the line that shows the correct Mac OSX drivers and right click on the file link. Select 'Save Link As' and save the drive image file (*.dmg) to a suitable location such as your Desktop for convenience. Double click on the drive image file you have just downloaded. It should open a file window. Now double click on the .pkg file. 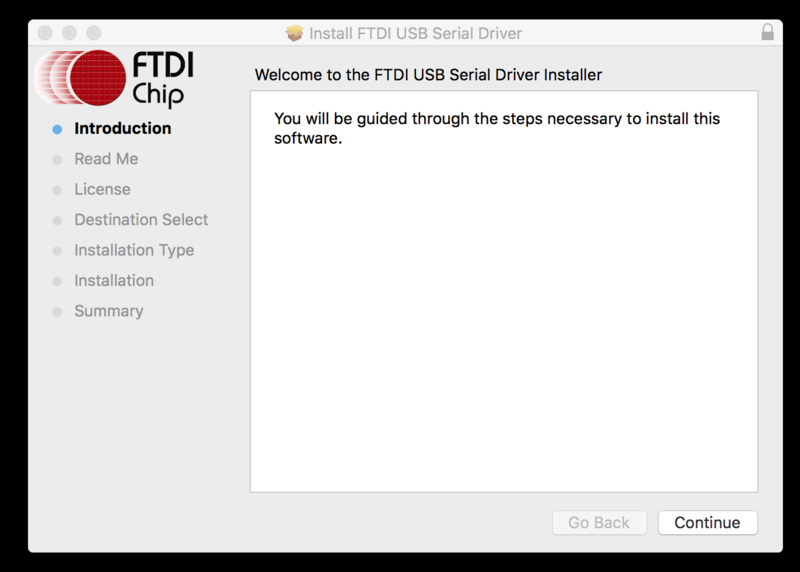 You should now see the FTDI USB Serial Drivers Welcome Window open. Click on the continue button. 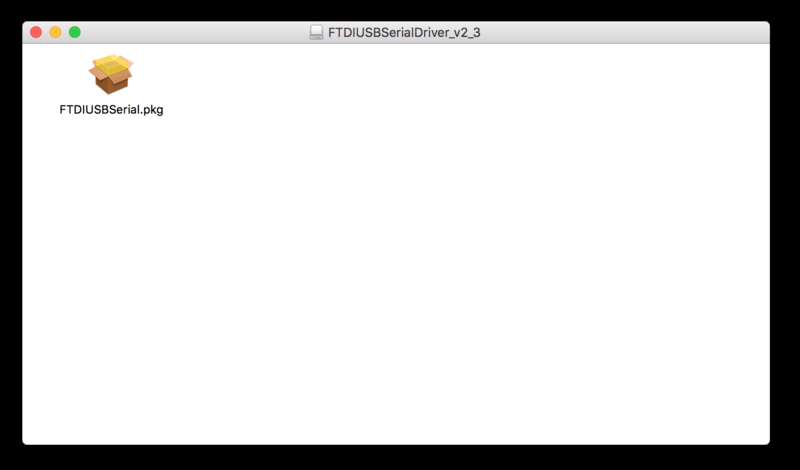 Now you will see the Driver readme file. Click to Continue button to Continue. Now you will presented with the licence agreement. if you are happy with the licence agreement, then click the Continue button to continue. This will bring up a pop up in which you will need to confirm your acceptance of the licensing agreement. 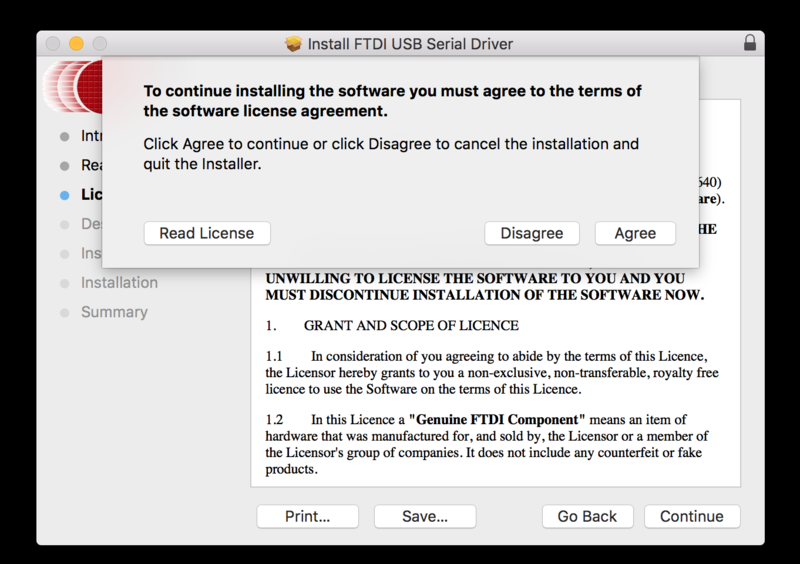 Click on the agree the agreement button and then click on the Continue button. You are now given the option to change the install location. 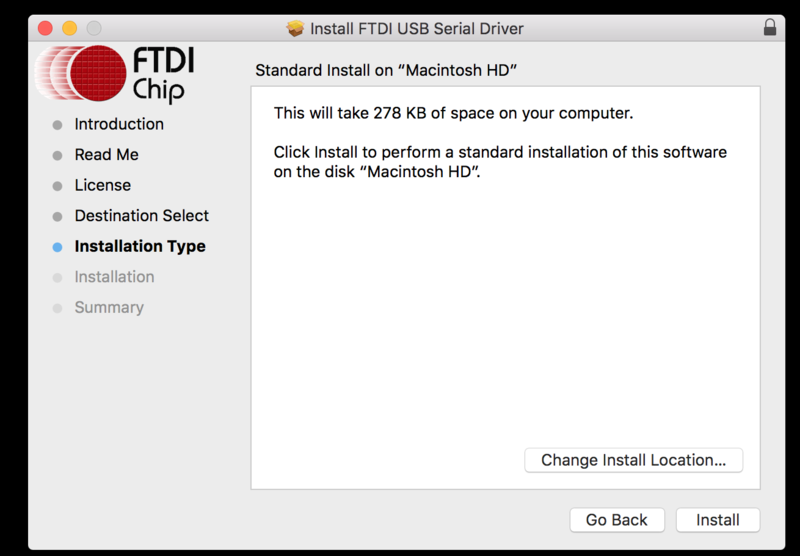 Unless you have good reason to, there is no need to change the default install directory. You will now be asked to fill in your admin username and password. 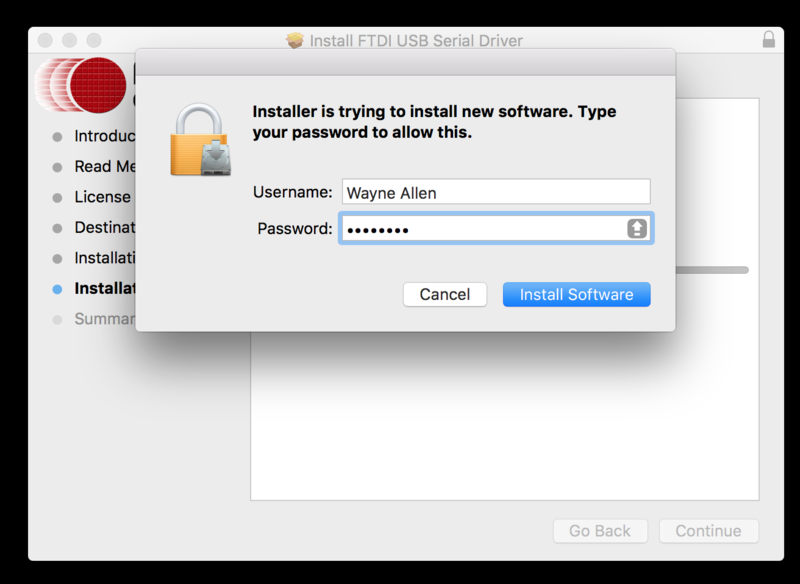 Without the admin login details the installer cannot install the drivers onto your machine. Enter your admin username and password and click the blue 'install software' button. 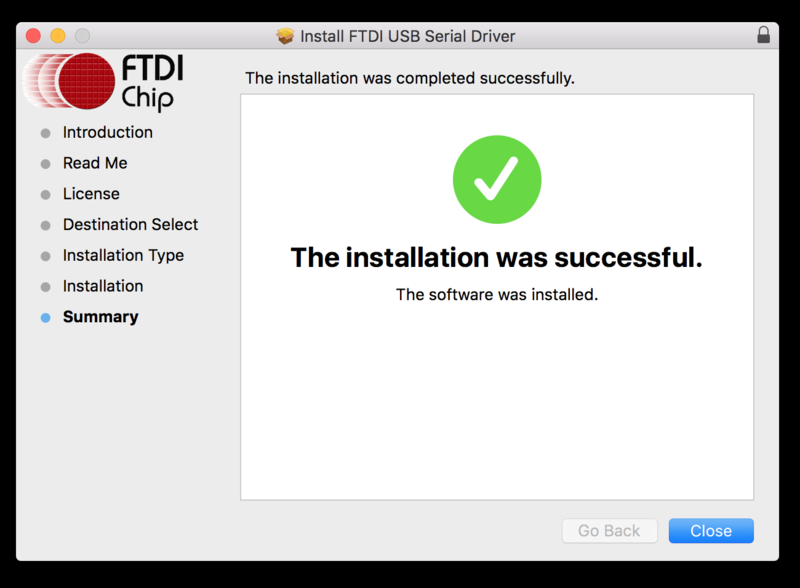 Now wait for the installation to complete. Once the installation has been completed, click the Blue Close button. You should now be able in plug your digital interface cable into a space USB slot and proceed with running Commander.